An interview by Louis P. Burns aka Lugh © 2008. All rights reserved. 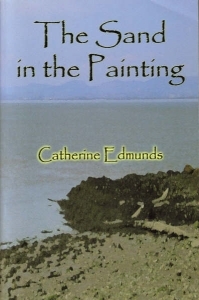 I am simply delighted to include Catherine Edmunds in my group of collaborative and creative colleagues and friends. Catherine has also worked tirelessly with me, editing many of my own poems and a few short stories, so I can personally vouch for the fact that she is totally dedicated to the art of writing. 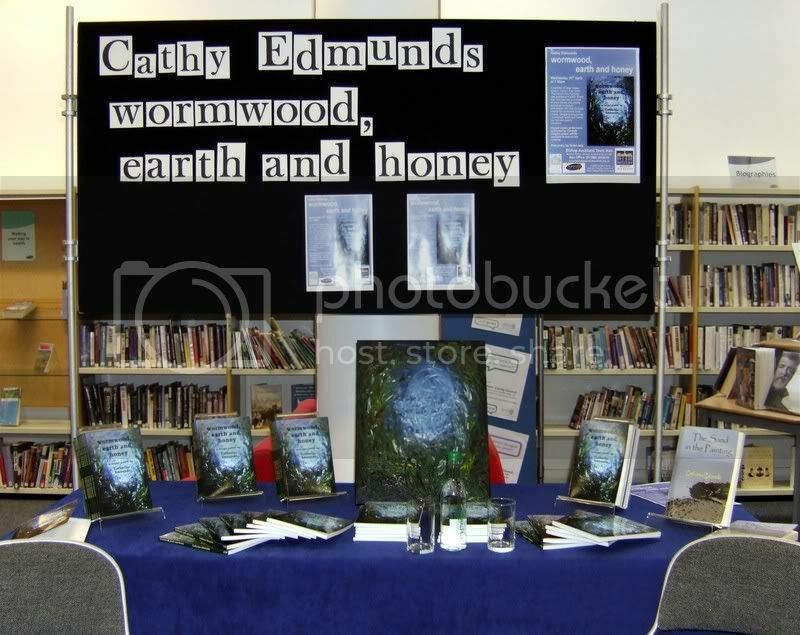 Catherine is logged into my arts, new media/music and writer's forum and network Sensitize © under her full working name Catherine Edmunds and works as an assistant manager there when her busy schedule allows. If any of you consider yourselves to be blossoming creative writers, you could genuinely benefit from interacting with Catherine on Sensitize ©. She will, I can assure you, tease forth all of the strengths of your style and make you feel positive about your work. Simply working in the same company as a writer of Catherine's skill has a real and lasting knock on effect. Catherine is also a highly accomplished graphic artist, photographer and musician and her work has inspired me frequently. I recently interviewed Catherine for the public pages of our e-zine, Sensitize ©. Lugh: Hi Catherine. Firstly may I point out that it's an honour to take this time to chill with you and talk about your work? Thank you. You have two books in circulation as we speak. The Sand in the Painting is a stunning novel and one I absolutely loved and reached for frequently while putting one of my own productions together. 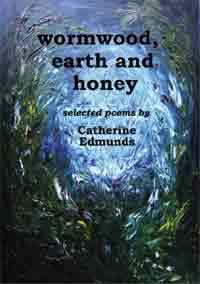 The other, wormwood, earth and honey, is a collection of many of your finest poems. I've read it twice fully and am currently reading a third time. I have to say right here and now that over the sea to annan cracks me up. I laugh loudly and heartily every time I read it. Your characters and settings are so real, so vivid - even the cows. Can you tell me about some of the experiences you've had while designing your characters or exploring the settings you eventually chose? Catherine: Hi Lugh – yes, over the sea to annan is a favourite with many readers, I’m delighted to say. There’s a good reason why the characters and settings in that one come across as real – they are. I read the story in the Northern Echo, and thought it would make a great poem. The same thing happened with the persistence of prunes. A great story in the paper became a ready-made story for a poem. Those two are firmly based in reality, but many – most in fact – are pure fiction. A number are based on works of art or photographs, a number come from prompts on various writers’ forums, but the vast majority come out of the subconscious – dreams and random imaginings. Lugh: While writing, do you shut yourself off from the world around you? Or do you seek the 'active voice' from what is going on around you while you write? Catherine: I’m not one of those writers who carry a notebook around and writes whenever and wherever the muse strikes. I pretty much only write in my living room, at the computer, with my budgies chatting in the background and a mug of tea by my side. I can’t listen to music while I write, as it’s too much of a distraction, so yes, I do shut myself off. That’s the only way I find I can immerse myself in the world of my imagination, and let the words flow. Lugh: You worked as a professional musician a few years back. Would you like to talk about this? Catherine: My professional training comprised a degree in music from Dartington College of Arts, followed by the Goldsmith’s College Diploma in Orchestral Studies. I then followed the traditional music graduate’s route of working as a peripatetic instrumental teacher during the day, and gigging at night. At the end of a couple of decades, when health issues forced me to retire, I was a part time ‘peri’ and regular on the freelance classical circuit – mostly playing string quartets for events, as well as gigging with the North Pennines Chamber Orchestra and playing for a steady stream of musicals and operas at such venues as Newcastle’s Theatre Royal and the Sunderland Empire. The health issues meant I had to stop gigging, give up the peri job, and restrict myself to a small amount of private teaching. Do I miss it? Not as much as most people think I should. I take a ‘been there, done that’ attitude to the musical life. Glad I did it, but happy to move on now. Lugh: You are also an accomplished graphic artist / designer and photographer. Are there any of your works you would like to share with our readers? By share, I mean display as part of this interview of course, all the while respecting your copyright. Catherine: I am in the process of building a new website on which I will display my book covers and illustrations for Earlyworks Press, Bewrite Books and others, but in the meantime, readers are welcome to browse through random pictures and photographs that I’ve put on my deviantART page and on MySpace. Lugh: Can you tell our readers a bit about who inspires you? Who are your favourite popular or tagged rising new writers? Catherine: That’s easy. Sean Brijbasi always springs to mind when people ask me this question. He’s an extraordinary short story writer, whose work constantly inspires me. His books are published by Pretend Genius. For poetry, I love the Bukowski inspired work of Richard Atkinson (who may be found on a number of writers forums writing under the name ‘Ack’), but possibly my favourite poetry today is being written by Nigel Humphreys, whose collection ‘The Hawk’s Mewl and other poems’ was recently published by Arbor Vitæ Press. Lugh: If you had a single piece of advice you could give to anyone who considers themself a writer. What would it be? Catherine: Write something – anything – every day. Even if it’s just an email. Doesn’t matter. It’s like exercise; if you don’t do it you seize up. Lugh: Can you talk about your latest work or is it wrapped up in lovely secrecy for now? Catherine: I’ve recently started a new novel that inhabits the same world as ‘The Sand in the Painting.’ I always wondered what happened to John and Emma at the end of that one. Now I’m finding out, but I don’t know the answer yet, as I’m literally ‘making it up as I go along’. I’m not someone who plans novels. I take a bunch of characters and follow where they lead. Lugh: On your journey as an artist and writer you have met some wonderful people. Some of whom I now know through working with you. Are there any you would like to say 'hi' to or tell our readers more about? Catherine: Yes, there’s a certain Louis P Burns, and technical wizard Diarmuid McGowan (Diesel Engine) – but apart from your good selves, I would like to say ‘hi’ beyond the grave to a couple of people who are no longer with us: ‘Bru’, who taught me how to write in his workshop forum, and without whom I would never have published anything; and Jamie Douglas Stevenson, who showed me what enormous fun writing could be. In the land of the living, three people spring to mind: crime writer Paul Freeman, who has been continually encouraging and is a master of both story-telling and knowing how to get those stories out there and published; Salvador Oria, Argentine poet and friend, whose humanity and passion for words and nature continue to be an inspiration; and my Editor at Circaidy Gregory Press – the wonderful Kay Green – a skilled writer and one of the most energetic arts facilitators I know. All these people share a belief in the arts, in the power of words to change lives, and in the sheer joy of writing. Lugh: Would you like to say anything about the Sensitize © experience for you? Catherine: Sensitize is a unique entity, which brings together ideas about the arts in a wholly original way. I’ve been on forums for writers where I’ve talked about the visual arts and they’ve nodded politely and let me get on with it; or forums for artists where half of the members are incapable of stringing their thoughts together in words, which is most frustrating all round. It’s rare to find a community of artists where words and the visual arts – all creative media in fact – are equally valued, and can be discussed with intelligence and sensitivity. That, for me, is the strength of Sensitize. Lugh: Catherine. It has been an absolute joy to share this time with you. I'm sure readers of Sensitize © will join me now in wishing you continued success as an author. Once again, thank you for taking the time out to be interviewed. Please note: The reproduction of covering art images for both publications has been approved by the author; Catherine Edmunds ©. All rights respected and reserved. Last edited by Louis P. Burns aka Lugh on Sat Sep 20, 2008 1:19 am, edited 4 times in total. I arrived at the Town Hall in good time, with Ian (hubby) in tow to carry books etc. Everything was already set up – all I had to do was pile the books and painting onto the table and smile sweetly at people as they started to trickle in about half an hour later. Gillian Wales, the Town Hall manager, was there all the time to ensure smooth running. It’s funny, but I thought that most of the people I ‘know’ live either on the other side of the world (internet folk) or in faraway places like Kent and Sussex, but it turns out that I must know a few locals, because I reckon of the thirty odd people who turned up, there was only one I didn’t recognise. I’ve no idea who she was, but she took exception to my comment that people who write should also read. She said afterwards that she takes care not to read anything, in case it influences her writing. I didn’t really have an answer to that, other than to try not to let my jaw drop too far. Peter Walters, novelist and leader of the Wear Valley Writers gave me a brief and very complimentary introduction, during which I have to admit to a touch of nerves – but then it was my turn to speak and the nerves mercifully evaporated. Those of you who’ve met me will know that in social situations I tend to be reticent (if not downright bloody shy) although on forums I can be quite forthright. I’ve now discovered that the ‘public speaking’ me is the same person as the forum me. I loved having a captive and polite audience who were there to listen to Me! Me! Me! *ahem*. So, what did I talk about? I started off with brief biographical stuff about my background in music and sudden switch to writing. I talked about how the writing started, and the grotty poetry I wrote at first. I explained my views on what makes bad poetry really bad, giving a few examples and referencing the famed writethis.com ‘banned words’ list. I talked about the people who made me realise what you have to do in order to avoid the pitfalls, and how I learnt to do it ‘properly’, mostly through the influence of people like the late great ‘bru’ from msn group The Blank Slate. I talked about how my novel “The Sand in the Painting” came to be written and published. I described the different types of publishers – and how to avoid being ripped off by scams like poetry.com. I lauded the legitimate small presses to the skies. I then moved onto the poems – I’d picked out about eight of them from the book to be read out by fellow author Mary from the writing group, so I had a rest while she read them, though I gave brief introductions to each. We ended the readings with ‘little piggies’ which always gets a laugh. I asked if there were any questions, and there were quite a few, many of them interesting, and all of them (thank heavens) answerable. Then it was onto the (free) wine and the book signing. Ian acted as treasurer, and I signed and watched the piles of books go down. A good feeling. Afterwards, I chatted to the people who’d come – friends, relations, my art teacher, other artists, ex-colleagues from the music business, writers – and, to my delight, three people from internet writing forums who I’d never met in the flesh before (Joss and Mattspop from Slingink, and Ack from creativewriters/spiritnet/etc.). Finally we packed up the remaining books, and lurched over to Wetherspoons for a pint of Black Sheep with the artists, where I managed to sell another book to a complete stranger. Thank you Jeff from creativewriters for the invaluable advice on press releases. As a result of using your formula, I managed seven pieces in various newspapers in the run-up to the launch. Thank you everyone who’s ever critiqued a piece of work of mine – there are hundreds of you and it would be invidious to pick out any one name, other than bru and Nigel and bfgg and danimik and – so many more – but without online critique, I wouldn’t have discovered the unbeatable buzz one can get from writing (quite apart from the rather pleasant aspect of earning money). Most of all, thank you Kay Green of Earlyworks Press / Circaidy Gregory Press for boundless enthusiasm, support, critique, editing, proofreading, friendship and all round brilliance. The Catherine Edmunds Experience | Catherine Interviewed by Louis P. Burns aka Lugh. So proud of you my friend. Keep on writing in the free world. You'll find some photos of the launch here.